A complete campus bus and parking map is available here. On weekends and evenings, visitors may park in most other lots and garages. View the campus map to find parking closest to the buildings you are visiting. Metered and pay station parking is also available on streets around campus. Overnight parking is not permitted on Princeton streets. 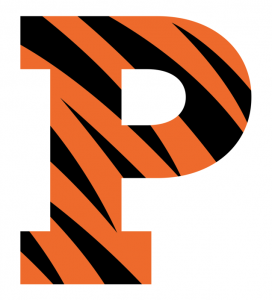 Attendees staying in the Princeton University dormitories will receive overnight parking passes at dormitory check-in. 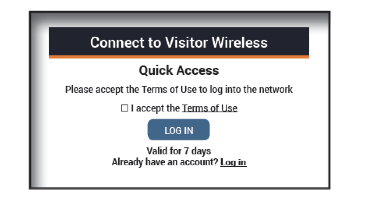 Visitors from other eduroam participating institutions can select eduroam. When prompted, enter your home institution email address and password. Each device must be registered individually. Users cannot register with @princeton.edu email addresses. Contact the Office of Information Technology helpdesk@princeton.edu, 609-258-4357 (8-HELP) or https://princeton.edu/wireless for more information. The U-Store at 36 University Place sells a wide range of items, including stationary, sportswear, small appliances, cameras, books and magazines. It also has a pharmacy and a limited grocery section. The U-Store at 114-116 Nassau Street sells apparel, gifts, and accessories. Princeton’s campus is located on 500 acres in the bustling heart of New Jersey. Prospect House and Garden Prospect Mansion was given to the college in 1878 for use as a residence for the president. The Garden was later re-designed by Mrs. Woodrow Wilson, when her husband was president of Princeton University. Princeton University Art Museum The museum features approximately 70,000 works ranging from ancient to contemporary art. It is located in McCormick Hall on campus and is open Tuesday, Wednesday, Friday, and Saturday, 10:00 a.m. to 5:00 p.m., Thursday, 10:00 a.m. to 9:00 p.m., and Sunday, 12:00 to 5:00 p.m. Admission is free. PARKS and HISTORICAL SITES within walking distance. Institute Woods The grounds surrounding The Institute for Advanced Study, can be accessed off Mercer Street, or from the end of Springdale or Olden Lane. There are many walking paths, some leading to the canal, some to the battlefield, and some to a bird sanctuary. Excellent bird watching is possible. Princeton Canoe and Kayak Rental Located on Lake Carnegie, entrance on Alexander Road, Princeton. (609) 452–2403. Princeton Battlefield State Park The battlefield, site of the first U.S. victory during the Revolution, is located at 500 Mercer Street, ½ mile south of Olden Lane. The Clark House Museum, the house where General Hugh Mercer died after the Battle of Princeton was also used as a hospital following the battle of 1777. Albert Einstein House: Einstein House is located at 112 Mercer Street. It is a white frame 2-story house with a large front porch in Greek revival style. Please note, this is a private residence; it is not open to the public. Einstein lived in this house from 1933 until his death in 1955. Drumthwacket Mansion built circa 1834 for Charles S. Olden, Governor of New Jersey during the Civil War. Enlarged in the late 1890s. Now owned by the State of New Jersey, it is the official residence of the Governor. For guided tours, call (609) 683 – 0591. Philadelphia and New York via a relatively short train ride.